AleaSoft, November 20, 2018. In the last edition of the Solar Forum of the UNEF, held in Madrid on November 6 and 7, AleaSoft participated to present its vision on the future of photovoltaics in Spain. For AleaSoft, Spain is in an ideal situation to take advantage of the large amount of solar resources it has and fully participate in the photovoltaic revolution. Spain and Europe are now facing a revolution. The objectives and challenges that have been set in order to achieve on time the environmental objectives proposed by the European Union impose a strict calendar of installation of renewable power to achieve the goals of the decarbonisation of electricity production. And, for AleaSoft, Spain has a certain advantage over the rest of Europe in one sense: the Iberian Peninsula is a solar gold mine, and photovoltaics is the one that can best take advantage of this resource. Looking at the map of the incident solar radiation in Europe, the values obtained in the southern half of the peninsula stand out. In that region, the hours of sun can reach more than two thousand a year, and with just one square meter of solar panels one can produce the electricity corresponding to half the consumption of an average home. But to be able to develop photovoltaic projects, they need to be bankable and for that they need good income prospects that will assure them the return of the investment. And right now, according to AleaSoft, the fundamental tool to achieve that is the PPA. PPAs have always been a good opportunity for producers, but for consumers they were an unattractive option given the long term of commitment. But clean energy is creating new paradigms. The PPA is an opportunity that consumers have to buy at a flat rate and, at the same time, be consistent with their corporate objectives of responsibility with the environment, in addition to improving their image. To close a PPA agreement, it is necessary to have a clear vision of the electricity market within the horizon of the contract and reliable forecasts. 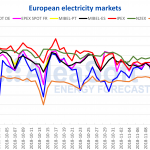 AleaSoft estimates that the average prices of the P50 in the next twenty years will be 50 €/MWh, with an average lower band of 40 €/MWh and an average higher band of 60 €/MWh. These prices are interesting for all technologies: wind, solar, gas, and also for electricity consumers. Stability in market prices is self-regulating with the balance between supply and demand. In recent years, the mix of Spanish electricity production has undergone major changes in its composition: first, the combined gas cycles entered the mix and displaced other technologies, and then the wind energy entered the mix to occupy a considerable fraction of the total production. And with all these changes, the balance remained and the price fluctuated, but always around a stable equilibrium price. One aspect that normally worries investors in renewables is the fear that the increase in renewable production in the electricity market mix will lower the price. Obviously, periods with a lot of wind, a lot of solar radiation or a lot of rainfall will cause the market price to decrease. But this will only be for temporary periods, as it is already happening now. In the long term, the pressure of renewables that would lower the price will be compensated by the increase in demand, since lower prices will encourage electricity consumption. Electricity demand is not rigid, its profile will adapt to the new production patterns of renewables. And with more attractive electricity prices, more electro-intensive industries would be installed in Spain, which would increase demand. Even a very large increase in renewable production could cause electricity to displace other fuels such as gas in industrial and domestic uses, and gasoline and diesel in transportation, again increasing the demand for electricity. 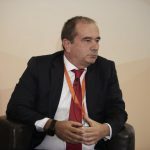 We must also take into account that we will be more interconnected with the rest of Europe, with which electricity will flow with more freedom among the markets always looking for maximum efficiency, and obtaining more stable prices. Another incentive that renewable projects will have are green certificates of guarantees of origin, which, according to AleaSoft, will increase their market value due to the need for industries and companies to consume electricity of 100% renewable origin to meet their environmental commitments. 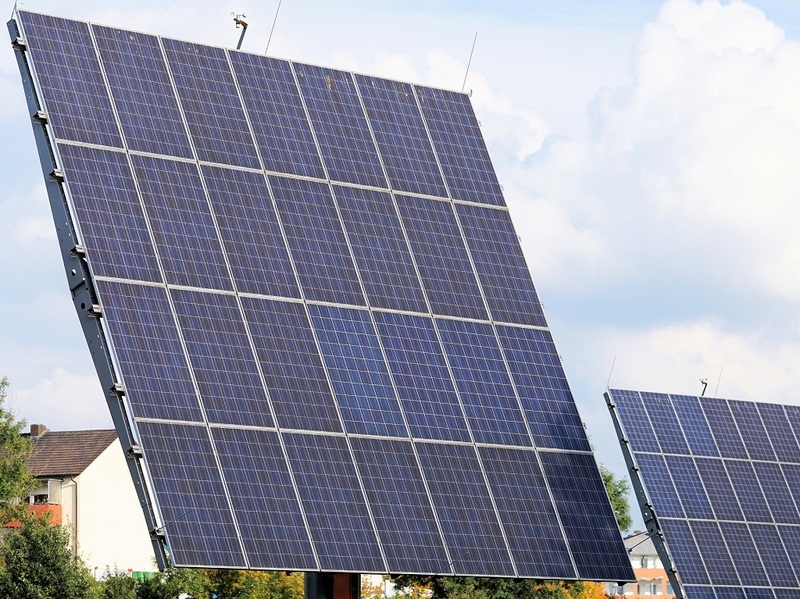 The decrease in the price of photovoltaic installations has finally made this technology profitable to operate on the market. That will bring a revolution in renewable production in Spain, where the solar resource represents a true gold mine.